Located between Bristol, Waterbury, and New Britain, Mt. 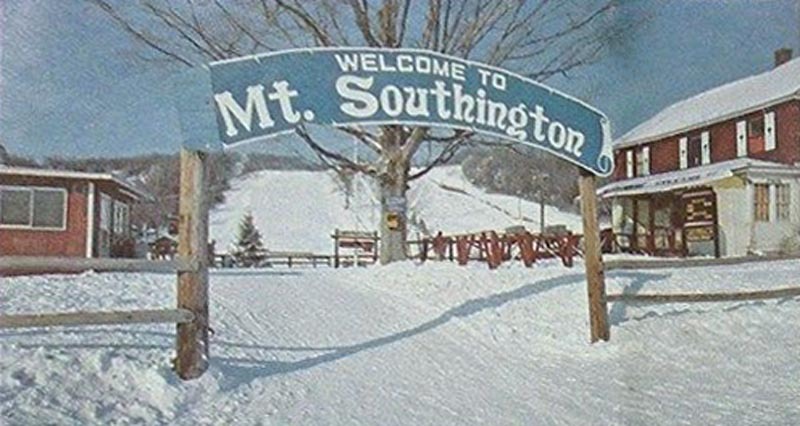 Southington is a popular local ski area. 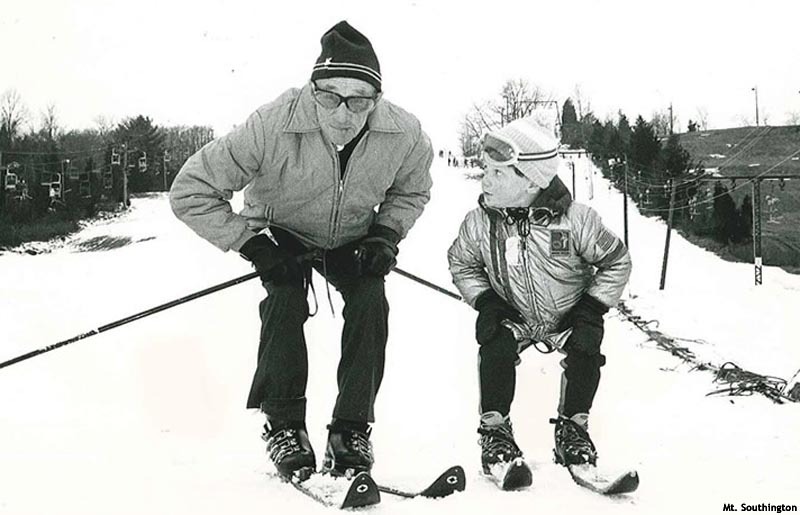 Circa the early 1960s, Dr. Harold Richman and his wife were inspired to start a local ski area after a trip to Vermont. Soon thereafter, the Richman and Palmisano families pulled together a group of investors to purchase a dairy farm and construct a ski area on it. Mt. Southington debuted as a 300 vertical foot surface lift area on December 10, 1964, managed by Walter Avre. 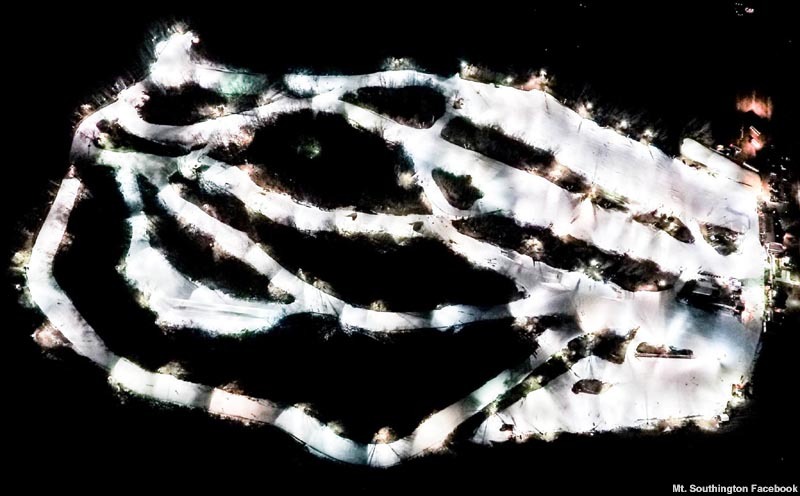 Initial offerings included two T-Bars, multiple rope tows, snowmaking, and night skiing. A third T-Bar was added for the 1965-66 season. After three years of operating with the lower slopes, Southington began its expansion upward in 1967 by cutting five new trails. While a chairlift line was surveyed at the time, the upper mountain was served by a rope tow for the 1967-68 and 1968-69 seasons. In order to develop more skiers, Southington had special programs such as Ladies Day, in which free babysitting was offered. The Avalanche double chairlift was installed for the 1969-70 season, giving the mountain its first top to bottom lift. NASTAR racing was added circa 1973-74, reportedly claiming the second highest participation rate in New England. Southington's next expansion build up took place in the late 1970s, starting with the installation of a J-Bar for the 1977-78 season. The following year, Mt. 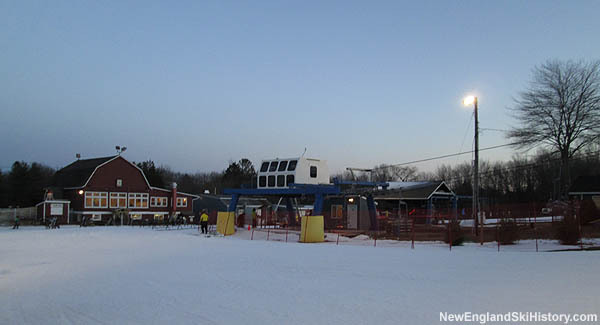 Southington's first triple chairlift, Stardust, was installed, giving the mountain its second top to bottom lift. Growth continued in the 1980s, including the night skiing business when a liquor license was procured at the start of the decade. Trails were improved, as were snowmaking capabilities. The expert Tester trail had lights and snowmaking infrastructure installed for the 1982-83 season. Lift improvements resumed in the 2000s, as the Avalanche double was rebuilt and the Northstar double chairlift and Thunderbolt double chairlift were installed. By the mid 2010s, all of Mt. Southington's trails were lit for night skiing, while the area also featured 100% snowmaking with a 1,800 gallon per minute system served by a million gallon reservoir.